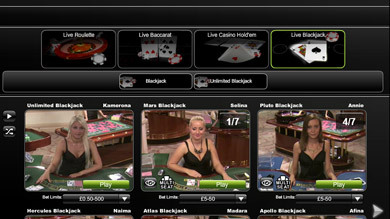 You can now enjoy high-quality gaming anytime, anywhere, thanks to Betfred Mobile Casino and Games with live dealers. Betfred’s Mobile Casino also boasts classic table games including Roulette and Blackjack as well as a wide range of popular slot titles. Slot games currently available at Betfred Mobile Casino include Iron Man 2, Rocky, Great Blue and Frankie Dettori’s Magic Seven. While Betfred’s Mobile Casino offers the perfect blend of classic table action and slot gaming, you can access many more top slot titles at Betfred Mobile Games. Betfred’s Mobile Games selection includes the UK’s most popular slot title Rainbow Riches as well as several more hugely popular slots including Cleopatra, Da Vinci Diamonds, Elvis, Wolf Run and Kitty Glitter. Accessing Betfred Mobile Casino and Mobile Games couldn’t be easier. To access the Casino simply text CASINO to 89660 or visit this link and register a new account to claim a £200 welcome bonus. Current players can log-in with their existing details. Similarly, to access Betfred Mobile Games text GAMES to 89660 or visit Betfred Games on your mobile device. If you’re already a Betfred Mobile customer you’ll be able to log-in with your existing details.